WL: Thanks for joining us, could you tell us about yourself? DVAted: Hey there! Thank you for having me! First thing you oughta know is that I write a lot. I'm a writer since childhood, and I overthink almost everything. If you get bored during this interview, because of my typical walls of texts, you have my apologies. I'm just being honest AND comprehensive. I'm 28 years old, Caucasian, straight. Not currently in a relationship. I graduated Law School and have a masters' degree in international law. I currently work for the City Council in my home town in Romania. I have an older brother, who is married and has a 9 month old baby-girl. My mom's been the city hall's chief architect, head of the urban planning office, for over 30 years. My dad was a professor, but he died in 2001, when I was 12. My mom never remarried. I'm a gamer of course. Been playing video games since the days of Mario, Contra and Duck Hunt. At my mom's office I'd play F1 Arcade Racer back when the city hall computers were running the "innovative" Windows 98. Moved on to Nintendo 64 Wayne Gretzky NHL and Turok at a friend's house. He then got a PC (before I had one) and we played GTA 3 and Vice City on it all the time. Then I got my first PC, played NBA Live 2003, GTA San Andreas and well, then pretty much everything else. I'd been modding GTA SA since '05 up to '08 (started as a beta-tester, then texturer, then even directed some model projects), and I managed to administer a few modding communities for that game as well, during that time. In '08-'09 I was introduced to Fallout 3 and its modding. Then, in 2009 I found "fallout3underground", and joined the site, then the staff team there as well. Now, 7 years and a few months later, I'm here, being interviewed as a leader. WL: Where does your name come from and what does it mean? DVAted: For a long long time, I used to use the moniker of Justin Kase. It was more or less a placeholder nickname, "just in case" I don't find anything better, I'd have something to identify with in the meantime. After a few years, when I got into modding GTA, seeing as I couldn't decide on a better alter-ego, but wanting to start anew, I decided I'd just be proud of my heritage and represent my-own-damn-self, by using my real last name, my family name ALEXE. It was all in CAPS and it worked well for a while. Even on the rap and poetry forums where I started as Justin Kase, I began to be known better as "ALEXE - the master lyricist" (as they regarded me at the time). See, my real name's initials are D.V.A. (wherein the A stands for Alexe). So I used my initials, and added "ted" at the end, to form, phonetically, the word "deviated"... as in, not normal, astray from the norms, deranged. It also figures that my first name, Doru, is etymologically related to the name Theodore, of which the shortened version is "Ted". So it fits! Some people online still call me Alex, others call me Ted. I was even called Al for a while, which I enjoyed due to famous people like Pacino and Capone. In our staff talk, we sometimes use shortened versions of our names, so as FoVet is Feeves, I'm sometimes called Deeves. All in good fun. But yeah, I'm gonna stick with DVAted for as long as I have a need for an internet alias. It just works! WL: So why did you create GUN? DVAted: GUN, as it is now, started as a safe-haven (or refuge) for the VGU community. The old site (Video Games Underground Network), created in 2009 by @Maxunit (as Fallout 3 Underground), had to be shut down early 2014 when the server costs became too expensive to manage (we were even asking for donations at the time and it still didn't match up). But we still had a close-knit community and mods to release, so @dragbody and I built this forum on the free Forumotion platform, with Maxunit's blessing, to recover our great community to what it once was, and I'm happy to say we've thrived here, with zero financial expense. WL: What could you tell us about VGU/F3U? DVAted: F3U started as a safe-haven of a sort, as well, but it was for ported mods. Nexus, although not quite as popular back in 2009 as it is now, still wouldn't allow ports from other video-games. Their rules were definitive. So @Maxunit and a few other modders decided to build their own forum "...with blackjack and hookers" . We didn't allow mod thieves, but we allowed ports, and it grew a fan base quickly. We attracted fantastic modders like @Corehound, @dazzerfong, @toxa01, @cire992, @Fraper, @Xilandro and many more (some of them still remaining with us, while others having moved on), some of whom have expanded their work from ports to original creations (hybrids of several sources or scratch made models). @Deepside was another very important member to us who rose the ranks quickly and became one of the wisest, strongest pillars of the community. We're still hoping he'd return to our community any day now, he was quite the leader to everyone who was around at the time. The reason he left is that he got a new job, which was much more demanding and wore out his leisure time completely. Kind of what's been happening to me these past months, but not as radical. Anyway, as we've always said, real life takes priority each time. So it is what it is. You'd be curious to know, we had a private mods section then too. We'd nominate people to get access to it after they passed 30 posts. Some would be accepted, others would be rejected because they broke rules or had stolen mods before, or because they were dirtbags. But we had a smaller community at the time so it was manageable. After it grew and kept growing, we handled it less and less... We still had mod thieves and leakers, that's never not been the case, because people will always find new ways to miss the greater picture and disappoint you. It's just the way it goes. The better something is, the more people join, and the more people join, the more trouble begets it. Doesn't mean we shouldn't try supporting a good community for everyone else, though. The servers became more and more expensive, though. I was against begging for donations from the start, but for a while we did (didn't offer anything in return or extra to the donors, though), and it helped a little bit. And then it didn't match up to what was required anymore, so we had to shut down. From there, we started from scratch, here. Well, almost from scratch, we did redirect a lot of the old members to come over to this new platform, so we had a boosted start, so to speak. But it's surpassed the old site's population a long time ago. That's the gist of it, anyway. WL: I have to ask, how does it feel to be the creator of this great community? DVAted: I'm not really the creator. I'm basically the initiator and main contact with Forumotion staff, as I've started this current version of our community, and I've put the most effort into its administration, but I don't feel like I've created it. 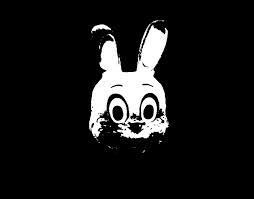 The modders and the most active members make it what it is. Without them, I'd just be an ambitious fellow with a free, yet empty forum. Maxunit is the original creator, all praises to him and his legacy. This site is based on the blueprint he drew, and the community that came from it. Many props to all the admins and moderators from his time too. I wish I still had a list of them all, but either way, they were amazing people. Much love and respect and appreciation and gratitude to the current staff, Overseers and Sentinels, GFX Specialists, Paladins, and Purple Hearts, they are all amazing. All the best wishes and love for all of our members, of all ranks and ages. Although I've been here slightly lesser over the past few months because of real life stuff, I'm still here for each and every one of you and I thank you all for your company and activity. WL: Do you have any talents you wish to share? DVAted: Well, as I said in the beginning, I write. Mostly poetry. Almost exclusively in English. Started very young (about 6-7 years old), but developed rapidly in my teenage years on hip-hop forums which typically had poetry sections. As some of you may know, hip-hop is very lyrical, and while some of it is about violence, hoes and bling-bling, some of it is also pure poetry. Most of my friends there were doing Freestyles, but some of us were going deeper and experimented more structurally through poems. We often had contests, tournaments of poetry and I'd won almost every round, though I was still a kid at the time. My rep grew quickly and by '07 I even founded my own crew: "Power Over Every Thing Symbolic", with about 6-8 members in it, from all over the world. Anyway, video game mods caught my attention more and more, and I drifted away from the lyrical forums, though I kept writing for myself, of myself. Eventually, in 2015 I published my first book. It's an English poetry volume called "The Waiting Game", and it came out in a very limited edition. About 40 copies left undistributed, the rest I've given out to some of my close family and friends. I didn't publish to make money, but to get the ISBN (international serial book number) on my work, so that I may defend my copyright in court if anyone assumes authorship of my poems. And although I haven't had my poems stolen yet, publishing it was worth it. It's quite a feeling of accomplishment when you see it in paperback form. I'm planning on publishing again. Maybe I'll focus on prose a bit more, though it's not my favorite genre. We'll have to wait and see. I've been doing some graphic work too, mostly for myself. The first few banners of the site were put together by me, before I created and started relying on the GFX crew. I also did a ton of video game icons for the desktop, you can check them out here. and even some shark textures too lol. 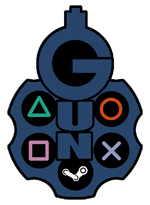 At the time I was also doing signatures for both the gaming and hip-hop forums that I was active in. 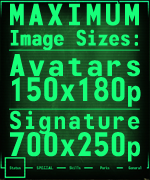 I did some texture work for Fallout mods too, for example, the Monster Mod credits me for it, as well as some recolorings/camo textures for a few of dragbody's armors, and xxShepardxx's and Cpt.Rex's Turian, Krogan and Batarian race ports. I also made a few more creature textures (tigers, gazelles and dogs), but mostly for my own enjoyment. Besides nifskoping and textures, I did a lot of GECK work for my mods too, and I enjoyed writing up mod descriptions and readme.txt files. One that I'm particularly proud of is the Krieg companion mod, fully voiced. But none of which would've been attainable, valid or valuable without my very talented porters, model-makers and scripter friends. OG-Jay (aka TreasureChest), GR!M, repoman, dragbody, dazzerfong, tumbajamba, Cpt.Rex, and more! Highest of praises to them! WL: What kind of music do you like? DVAted: My father, who was a music and dance professor, introduced me to Michael Jackson and Queen, so I have endless appreciation for that early influence. I'm a huge MJ fan, even now, of all his work, from the Jackson Five days, all the way to "This is It". And Queen, well they're absolutely legendary. No contest. My older brother introduced me to Hip-Hop when I was like 10 years old. 2Pac, DMX, Ja Rule, Jay-Z, Nas, Outkast, Busta Rhymes and lots and lots of R&B - Dru Hill, Tyrese, TQ, Aaliyah, Ashanti, Erykah Badu etc. So I grew up on that. Of course, I kept an ear open to Red Hot Chilli Peppers, Aerosmith, Linkin Park, Gorillaz, and such. Around '07, a GTA modder friend of mine showed me "Only" by Nine Inch Nails and I absolutely loved it. I wanted more, so I went and downloaded their Greatest Hits and was hooked on it for so long haha. So now I was a rocker too. Around '08 I started playing Fallout 3 so the oldies got to me too: Ella Fitzgerald, Ink Spots, Andrews Sisters, Louis Armstrong, Bing Crosby, etc. Of course, the radio mods which added like 60-100 new tracks of the same era, I really got into that too. And of course, New Vegas opened my ears to some country too - Johnny Cash, Willie Nelson, Roy Rogers, etc. A little further down the chronology of the world's music, I found Sam Cooke, Marvin Gaye, Muddy Waters, Al Green, Otis Redding, Donny Hathaway, Ray Charles, Temptations, Etta James, etc. They make my soul move in ways I didn't think possible. I then went back to Rock a bit more, with Nirvana's albums, Pearl Jam, Led Zeppelin, Rolling Stones, Iron Maiden, AC/DC, Zakk Wylde, and so on. Newer Hip Hop artists got by my track lists too, though, Gym Class Heroes, Jon Connor, Joell Ortiz, Kid Cudi, all the way to J.Cole, Akua Naru, Kendrick Lamar. Then I harkened back to old school classics, like Gang Starr, Pete Rock, Big L, Bone Thugz n Harmony, Wu Tang, The Roots, Warren G, etc. WL: Is there any kind of car you like? DVAted: I mostly like american cars. From low-riders to muscle cars to big 4x4 trucks. 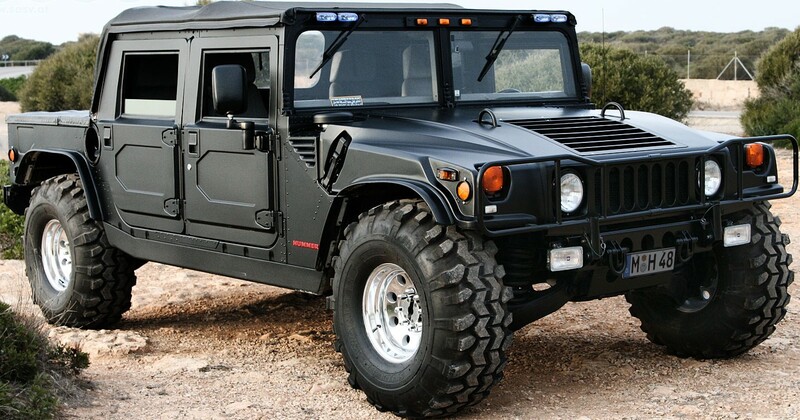 My all time favorite vehicle is the H1 Hummer. There's nothing that can tip it off the #1 spot for me. I didn't like the H2 Hummer much, and from the H3 series, only the H3T looked interesting because it had that flatbed behind it. But anyway, I'm very affectionate of the Jeep Wrangler (in its many forms), Dodge Ram and some Ford trucks. But almost any sand-runner, dune-buggy would do, as long as it's not too modern. The more Mad Max they are, the better. Chevy has a wider selection of cars I love, like the classic Impala, '79 Monte-Carlo, the Stingray and oh-so-many other Corvettes! oh and some Peterbilt trucks too. The classic ones. My favorite sports car is the Ferrari 360 Modena Spider, but I also love Porsche and Lamborghini models of many kinds. I get a thrill from dirt-bikes too (in video games, I mean). WL: What kind of games do you play? I mostly enjoy 3rd person open-world action video games. That puts me squarely in line with Assassin's Creed, Arkham, Mass Effect, Fallout, Elder Scrolls, Saints Row, Mafia, Mad Max, GTA and other similar series and stand-alone games (Saboteur, Sleeping Dogs, Total Overdose). Oh and Defiance - I put a ton of hours into that game. It had everything and more. But you know, passing the 400 hours mark tends to bore down even the best of them. But I play a bit of everything. Can't avoid or deny a good first person shooter: Borderlands, Far Cry, Crysis they're fantastic experiences. And not gonna lie, I mostly shoot enemies in first person in Fallout cause it's easier. Although I absolutely love open-world gameplay, I do wander into the occasional linear game every now and then, like Portal (1 and 2), some Call of Duties, Call of Juarez (the series), Max Payne (the series), Spec Ops The Line, El Matador, and more. Although I'm not a fan of horror games, I have very much enjoyed the classic series Manhunt (1 and 2) and The Suffering (1 and 2). I tried Resident Evil, Dead Rising and Dead Island games, but I just don't enjoy the thrill of running from and being overrun by zombies. Apparently, the game I've played most is Warframe. It has the 3rd person aspect down to a science, and although the missions are inherently linear, it still gives you an open-world feel with your own space ship, clan dojo, public relays and general progression. The missions variety is staggering, as is the number of weapons and warframes with unique abilities that they've implemented in the now gargantuan platform. So as hack-and-slash games go, Warframe fits part of it (though it's also a shooter), as well as Darksiders and... I guess Prototype too. I recently picked up Devil May Cry 4 but I'm not that far into it. I used to play racing games too, the NFS series and FUEL, for example, but not in recent years. Sometimes I get into fantasy RPGs like Guild Wars 2. I bought the Risen and Two Worlds series for cheap, so I'll give them a go. Never played much of the Dragon Age series, and I could never go into The Witcher 1 and 2, but I'm currently dabbling with Elder Scrolls Online and Divinity II: Ego Draconis. I enjoy single-player most, but co-op can be fun. I don't play PvP, though. Not necessarily cause I'm bad at it, but no matter how good you are, there's always someone better. Not only that, but I empathize even when I shouldn't, so killing someone in PvP isn't as sweet a victory as it should be, because I feel the other person's loss as well. And when I get taken down, well, let's just say that the bad feeling of losing over-weighs the good feeling of winning. Whether it's a shooter or games like LoL or Smite, I just could never enjoy PvP. I don't really play 2D sidescrollers since the good ol' Mario Bros. and Contra, but sometimes one would catch my attention for a few hours, like Stealth Inc had last year. I don't play Isometric games, besides Diablo 3, I guess. I tried to get into Fallout 1 but it wouldn't start on Windows 10... Oh I did play Marvel Future Fight on my smartphone for a while. It had Hulk, Ghost Rider, Blade, I just couldn't pass it up. I used to play Age of Empires II for a while (around '07-'08) but haven't gone into strategy games since. WL: Is there something in particular you still want to learn? DVAted: Interesting question. My mother's taught me the "life-long learning" principle - as long as you're alive, you still have things to learn. So there are plenty things I'd like to learn. I'm currently using mobile apps to learn Spanish better. I studied it in high-school, but since I haven't had any contact with it, I lost practice and so, the basics of it slipped away. I'd love to learn to write prose better. Like, not to screw up the verb tenses from one phrase to another, and to provide genuine character descriptions and development. I'd like to learn to write a screen-script for a TV series or two, or even a movie-series. But it's a hard business to get into, especially if you're not from the in-circle there. I'd like to learn to move past rejection easier. Most successful people say "Oh I got rejected ~100-300 times before I got my first real opportunity!" But I can hardly move past the first rejection, to compose myself and try again. I don't quit, but I just, often, don't start over. Or if I do, it's after a long break. I'd like to learn better self-determination and self-discipline. I lack inner-motivation, I can do almost anything I set my mind to do, but only if I'm motivated by someone else or something external. Like, if I have to jump through hoops, put in effort and time and money to help someone out, I do it without hesitation. But if I have to do it for myself, and nobody else, then I get lazy and cheap and demotivated, and I just don't. For example, a year before my brother's wedding, he wanted to get in shape for the event, so he asked me to go to gym with him, and we did, for a whole year, 5-6 days a week. And it paid off at that time. The effects were clear, it was healthy exercise. After the wedding he stopped going, though, and I stopped going. Not because I didn't need to go, or didn't afford to, but because, for myself, I don't give as much of a damn. My brother depended on me and it helped me in the process cause it got me in shape too, but it's been 3 years and a half since then and I haven't gone back to the gym. If I'm left by myself, I just find excuses not to do it, typically starting with "I don't really feel like it" and ending with "Maybe I'll do it tomorrow". Same thing when I was in a relationship, I'd go "hell and high water" to give my girl whatever she needed/wanted, even if it's just a small gift or a pen she couldn't find anywhere in town, or books she required to study, I'd call in all the favors, take time off from work, save no expense, whatever I could do and more; but when it came to my own needs, I'd postpone it until it's absolutely necessary and then cheap out on the price haha. SO yeah, I'd like to learn to do stuff for myself with the same determination as I do it for others. WL: Like many people probably are wondering, where does your love for tigers come from? Well, I'm really not a cat-person. I mean, I like cats as I like all creatures and beings, especially the furry ones. But I prefer dogs over cats. So you'd imagine I love wolves (and I do like them) more than large cats (like tigers). But for whatever reason, the coating of these beautiful cats have hypnotized me. I love the color of orange more than any other color, so the bright orange fur of tigers just captivated me, especially with the contrasting black stripes. It's magnificent. I absolutely love their appearance, their posture, their sheer size - I mean they are the largest felines, even larger than lions, and I read that they're also more powerful than lions, proven time and time again, in arenas of ancient times and spontaneous conflicts in circuses or zoos/parks: when set face-to-face, a Tiger will literally maul a Lion of the same size in just a few moves, and could even fight two of them at once. Tigers have stronger limbs, jaws, quicker reflexes and more flexibility. Not to diss lions, they're also fantastic. But they're only the King because of their mane. If the lion is king of the jungle, then tiger is emperor haha. 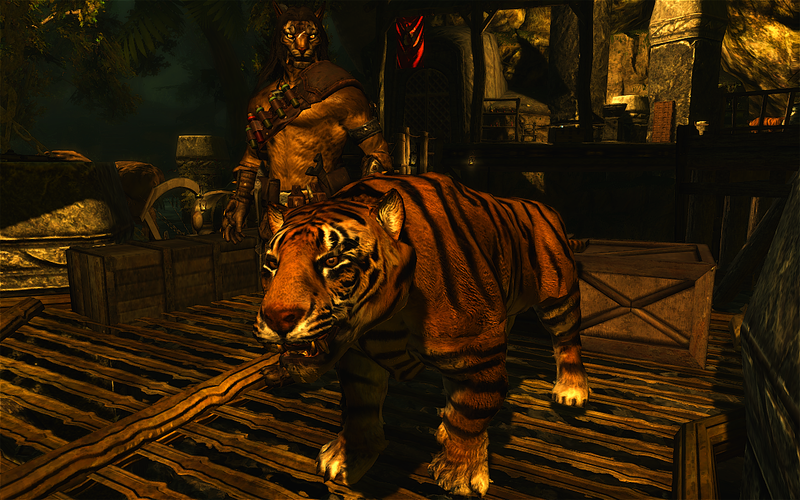 Come to think of it, my infatuation with tigers might have sparked when I was playing Skyrim. Whenever I play a video-game, when I get to choose my character's race, I typically choose what's the furthest from the typical video game protagonist (and we all know most video game player characters are white guys). So if the options, as in Fallout, are white, asian, hispanic, afro-american, then I go with hispanic or black, cause they're visually most different and most rare. As Skyrim allowed me to be Argonian or Khajiit, I created characters of both. 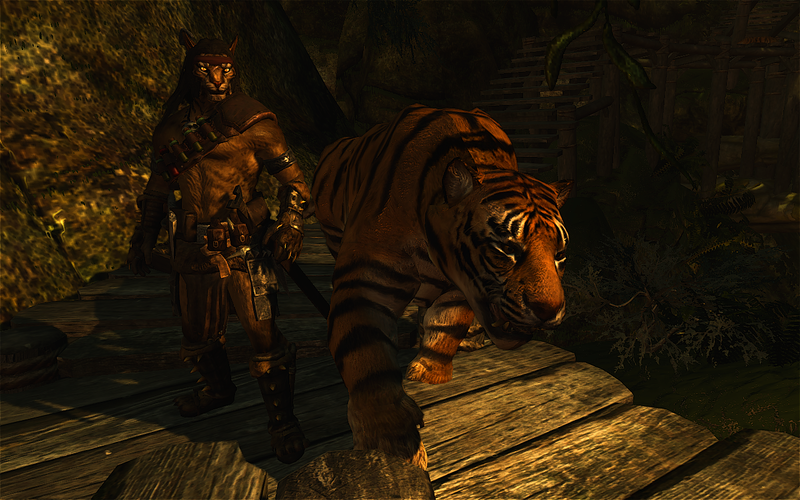 And as I found a khajiit fur retexture, it really brought the tiger appearance to life. Soon after that, I retextured the sabre-cats in Skyrim to have realistic tiger furs, and then a friend made the model itself with normal tiger teeth (rather than saber teeth) and long tail. And then, a few birthdays ago, @dragbody gifted me a tiger pet model for FNV, it just... it came together too well. Long story short: I love their appearance and features. But I also love Ravens, Wolves, Dogs and Dragons. WL: Is there anything you want to say to/advise the other community members? Just keep empathy in the forefront. Be honest, always. Be honest to yourself, as well as to others. Respect yourself enough in order to show true respect to others. Acknowledge that reciprocity isn't a given, but a gift. Don't let nobody tell you where you should limit your ambition. as a source for betterment, not for resentment or anger. Be loyal. Keep your word. Without your word you're nothing. Care for the weak. Be kind. Be brave and don't be afraid to try new things. Don't discourage yourself if you get stepped on. Leave the world a better place than as you've found it. Never achieve your happiness at the cost of someone else's. Try to understand each member, be kind. Leave each topic better than how you've found it. Respect those who give of their time and effort to others. And... enjoy your brief time here on earth! But all else renders foul, awry. Do people still hope, smile or sigh? Or do they only scream and cry? Have they gone mad? Have you? Have I? Else than fear and desolation? All for one's self preservation. Its last inhabitant, a fool. The two mouths in my holster prey. The four mouths on my exhausts bray. The throttles of my V8 neigh. In and of loss and disarray. Along the road; the mad withstand. And I believe I've spent enough of your attention span. I applaud everyone who's read every word. Well there you have it folks, the man behind the name DVAted, hope you found this interview as enlightening as I have. Thank you for taking the time to read this interview and stay tuned for another issue of The GUN Insider! a great interview.. i realy like it. and no, it was not to much to read.. it was a good read and i did understand everything with no problems ( not fluent english speaker here ). and now after i read the poem i want to play mad max .... +1 from me. It's awesome to hear from the man himself. It's a very nice interview and hope to see more in the future. A very good interview. i realy enjoyed reading it. it was a great idea to talk about the past of GUN and how all began. i was feeling like i read about my roots (sounds funny but it is like it is hehe). all in all i was very impressed to learn more about the Tiger of GUN and here i want to thank you both for the great lines. Fantastic interview yet again Will! It was great to read about the big Boss himself DVAted and get to know him better. I've been around here since '11 or '12 and I have to admit not knowing him much. Good to get a lil bit more insight on our boss. Baby it's your world, ain't it? Wow this was really great. I liked learning about DVAted, I was curious about the Tigers and now I know! Very great words of wisdom as well. Cool to read about the history of how GUN came to be and also cool to know this forum is doing so well! As always great interview, and look forward to the next! good interview i enjoyed it over all a lot ov info and this bit "But anyway, I'm very affectionate of the Jeep Wrangler (in its many forms), Dodge Ram and some Ford trucks. the messages ov the old world still persist and find meaning in the present most cant/wont hear the weight in their feet either for good or worse in the messages they speak to one another in truth we are all couriers carrying unknown messages. Wonderful interview Lionheart, really a fun read to say the least. It was wondrous to hear from a pillar of the GUN community. Learning more about DVAted is actually pretty nice. Hope to see more interviews Lionheart. To those who just skimmed through or haven't finished reading, I suggest you find the time to do so, you will not be disappointed. Also, love your taste in music DVAted. This was a top notch interview I think. And I gotta to say, you've done well @William Lionheart , also: "WL: Like many people probably are wondering, where does your love for tigers come from?" - asking the real question here buddy Many thanks for your work on that Will, you've done a really nice job! And also many thanks to you @DVATed for shedding some light on the man behind the Tiger. You're a great person, all I have to say is, keep on rockin'! Great idea, thank you @William Lionheart for letting us know about the members and their lives. Thank you very much, it's really nice concept, I did not know. This was a great read! Good job on the interview @William Lionheart. Hope to see more of these cause they're always great. Hopefully people now know that behind the title is also a man and not a robot. You're all wonderful people and I hope I keep delivering the interviews you expect. @Corehound, I'm honored by your reply even if you didn't get to read it word for word. I'm very glad to see you dropping by, and I hope we get to chat some more in the near future. -Do you still visit those Hip-Hop forums every now and then or have you forgotten about it? -How come Maxunit isn't participating in this community anymore? And why was he never staff here? -Why do you think that GUN became more popular that F3Underground in a less period of time? Maxunit was forced to shut down the old site because of the debt that the site accumulated. It got way past the point where the ads and donations couldn't cover backpay, let alone current server and security bills. It wasn't an easy situation for him, I can understand that well, and it disheartened him severely. He had invested the past 4 years into it, so, if he had a choice, he wouldn't have shut it down, but it became an imminent situation. When I told him we should rebuild and regroup on a free forum host, he said that he doesn't want anything to do with it for a while, but that we can go ahead with this refuge for the community, with his blessing. He wasn't interested, nor ready to start everything from scratch, as we were, so he stepped away, to focus more on settling his real life issues and get to a more stable environment, financially. I told him there will always be an admin spot open for him in our staff, and that offer is still available to this day. As time passed and we grew and grew, due to, in a major part, dragbody's packs, and the youtube videos made by ncrvet, Apoqsi and others, we were given as gift our own domain name from Forumotion, and we thought we'd just go with vgunetwork.net (like the previous site was titled). However, that domain was still owned (by contract) by Maxunit, who, by this time, had cleared his debt and gotten a better job for himself (in real life). When we suggested that he would cede the domain name to us, he said he was considering bringing the old site back up again. I suggested he joins our administratorship here: I would step down as "founder" of this forumotion variant, in his favor, and we'd carry on, but free of costs. 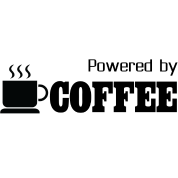 He refused, saying that he wants the full range of tools that the old site gave him (our own downloads database, higher more intricate visual and structural features, server security and direct server assistance, and more). Problem was, that still would've costed us a lot of money! The same amount (or more) per month that got us into debt and forced us to shutdown in the first place. We had a great meeting over skype and the staff and some of our best modders agreed that we shouldn't go back to the old expensive VGU setup, in order to avoid future debt and begging for donations every single day from our members. People are suppose to learn from past trouble, not repeat them, you know? So we all voted to remain here. Maxunit was still invited to join our staff, though. That's when he said he's thinking about going a different way, forming VGU Studios, to create video-games, rather than just mod them, and we said we'll support him in any way we can, but we won't risk moving the community over to his site just to have it shut down again. A community can only take so many "starting from scratch" events before it disbands entirely and loses its identity. So anyway, we chose a different domain name, one that was available. Maxunit was given full Paladin access and is still welcomed to rejoin us anytime he wants. His VGU Studios recruited a few modellers and scripters, but I'm not aware of any progress or updates from them in over a year. We've given them a sticky topic here too but I guess, it just didn't pan out to more productive expectations. I suspect his interests have followed different directions, that's all. And also, whenever an inconsiderate, ignorant prick leaked one of our exclusive mods on reddit or some other cesspool like that, well, it tends to draw in new members to our site as well. But we were never actively trying to advertise, to draw in people. Since we make no money, site traffic only matters socially, so as to provide sufficient companionship and variety to dispell boredom/staleness. Of course, more members means potentially more modders, which means more mods, which means more fun in video-games, which draws in more members. And also more non-modder members means potential for more feedback and interaction, which motivates modders to make more mods, which... you know. But a huge intake of people also brings in the scum of the world-wide-web, and that's unfavorable to all of us, including themselves, as their behavior often discourages or disheartens modders from releasing their work (here or elsewhere alike). But yeah, I've never said "Hey, let's tell everyone how cool it is here so they join us"
Word of mouth was sufficient, and as I've said from the start, we'd rather have a small but wonderful community, rather than "more people, more problems". So that answers your second and third questions. as for the 1st... well, I rarely visit my old hip-hop communities. Most of them have shut down, unfortunately. To be honest, I do check in one of them, like once a year or so. I'm always surprised it's still online, despite having 0.1% of the activity that it used to. Some of the hip-hop sites I was on in '03-'04 , I had them printed back in the day. I didn't have a home computer, so I printed out the topics and tournaments at my mom's office and read them when I got home. So I still have those printed papers. They're excellent to "browse" down memory lane, when I come across them. I did join other poetry communities, but unfortunately they don't keep me engaged long enough. You're a great friend and I appreciate your companionship and dedication. Great interview. Never knew the backstory of the site so that definitely was an interesting read. AlChestBreach brought me here and I'm glad he did. Respect for everything you did @"DVAted"